Kraft Easy Cheese Squeeze Can Cheddar 'n Bacon Flavor 8 oz Can Expiration Date Always Fresh The Kraft Easy Cheese Cheddar 'n Bacon Cheese Snack is ideal on top of crackers or other food. It's a terrific source of calcium and doesn't need to be refrigerated. 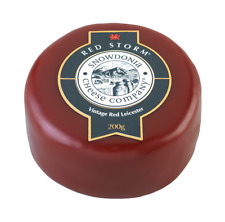 Including - Black Bomber (200g) Ruby Mist (200g) Beechwood (220g) Welsh Slate Cheese Board. 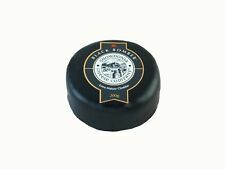 Black Bomber - Creamy & Smooth Extra Mature Cheddar Loved For Its Depth Of Flavour. Black Bomber® Has Won Awards At The Great British Cheese Awards, Nantwich International Cheese Awards, The World Cheese Awards And A Super Gold At Mondial Fromage In France. Cheddar Flavor. Easy Cheese Squeeze Can. PRICE IS FOR 2 cans. 8 oz (226g). CHEDDAR CHEESE. KRAFT EASY CHEESE. SQUEEZE CAN. The Perfect Gift To Send Direct To A Friend. Bookmark Us. Get In Touch. Includes - Little Black Bomber (200g) Red Devil (200g) Green Thunder (200g) Snowdonia Orchard Apple Chutney (198g). The Perfect Gift To Send Direct To A Friend. Bookmark Us. Get In Touch. Includes - Little Black Bomber (200g) Red Devil (200g) Green Thunder (200g). The Perfect Gift To Send Direct To A Friend. Bookmark Us. Get In Touch. SHARP CHEDDAR CHEESE. KRAFT EASY CHEESE. SQUEEZE CAN. Perfect to go on cheese boards. Get In Touch. KRAFT Pasturized canned cheddar cheese-200 grams. 1 can of KRAFT Pasturized canned cheddar cheese. Cheddar Cheese. If you get migraine headaches, it’s important to know that aged cheeses like cheddar are a common trigger. 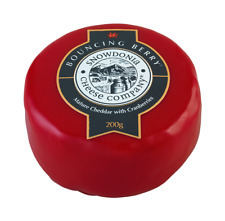 Burmont's Speciality Gifts Shorrocks Lancashire Cheese Bomb 3 Cheese Gift Hamper. Locally Produced In Lancashire & Matured Over 3 Years. As Sold In The Ivy Club, London. The Perfect Gift To Send Direct To A Friend. (5) squeeze cheese Chipotle cheese sauce 440ml. Jalapeno chili peppers, Nacho spices (Chili Peppers, spices, onions, garlic, chili powder, flavour, maltodextrin), colour E160b. (1) squeeze cheese nacho cheese sauce 440ml. Burmont's Speciality Gifts Shorrocks Lancashire Cheese Bomb 3 Cheese & Chutney Gift Hamper. Locally Produced In Lancashire & Matured Over 3 Years. As Sold In The Ivy Club, London. The Perfect Gift To Send Direct To A Friend. ® is a Gold winner at the Nantwich International Cheese Awards. As with all of our cheeses, Red Devil. Get In Touch. Get Social. It adds a depth of flavour and an intriguing heat. 6, 200g Truckles. 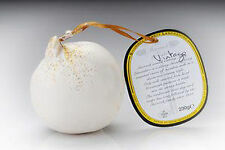 ® has won awards at The Great British Cheese Awards, Nantwich International Cheese Awards and the World Cheese Awards. Where Cheddars are concerned, our multi-award winning Little Black Bomber. ® has won awards at The Great British Cheese Awards, Nantwich International Cheese Awards and the World Cheese Awards. 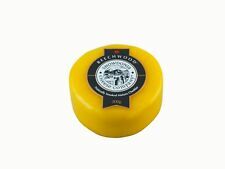 Where Cheddars are concerned, our multi-award winning Little Black Bomber. Little Black Bomber. Green Thunder. Get In Touch. 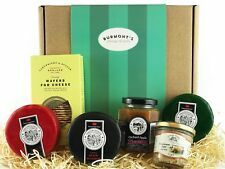 Burmont's Speciality Gifts Shorrocks Lancashire Cheese Bomb 3 Cheese, Chutney, Crackers & Pate Gift Hamper. Locally Produced In Lancashire & Matured Over 3 Years. As Sold In The Ivy Club, London. The Perfect Gift To Send Direct To A Friend. 2, 200g Truckles. ® has won awards at The Great British Cheese Awards, Nantwich International Cheese Awards and the World Cheese Awards. 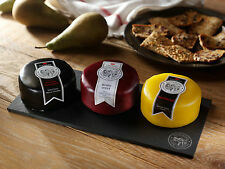 Where Cheddars are concerned, our multi-award winning Little Black Bomber. 2, 200g Truckles. Green Thunder. Bookmark Us. Get In Touch. Pepperidge Farms Goldfish Whole Grain Pretzel Baked Snack Crackers. 6, 200g Truckles. Green Thunder. Bookmark Us. Get In Touch. 6, 200g Truckles. ® is a Gold winner at the Nantwich International Cheese Awards. As with all of our cheeses, Red Devil. Get In Touch. Get Social. It adds a depth of flavour and an intriguing heat. Kraft Squeeze Can Cheddar Flavor Easy Cheese Snacks Crackers Game Cookout Party Kraft Easy Squeeze Cheddar 8 oz Can Brand New Expiration Date is 01/01/2018 or Better; If for any reason this date is ever past, I am simply running behind and have not updated however you WILL ALWAYS receive FRESH products from me!. Unique product from the United States. Energy 1168kJ / 281kcal. Maßeinheit kg. What purpose should I specify in the transfer?. Marke Old Fahioned Food Inc. Salt 1,8 g. - Of which sugars 8,5 g. Anzahl der Einheiten 0,681. Cheddar 'n Bacon Flavor. Easy Cheese Squeeze Can. PRICE IS FOR 2 cans. 8 oz (226g).